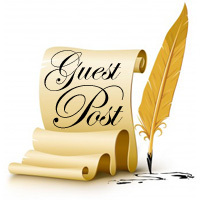 We are delighted to welcome back author Leslie Karst to Omnimystery News. Yesterday we spoke with Leslie and talked about her new mystery, Death al Fresco (Crooked Lane Books; March 2018 hardcover and ebook formats), and today Leslie shares with us a conversation she had with her series character, restaurateur Sally Solari. Leslie Karst: Okay, Sally, since this is a rare opportunity for me to ask questions of you, I want you to be honest: How do you feel about my portrayal of you in the books? Anything in particular you think I got wrong? Sally Solari: Well, dang, Leslie. It’s hard to be completely candid about that when you’re the one who’s going to continue to write my story. LK: [Laughs.] Don’t worry. I promise not to turn you into the murderer in the next one, no matter how you answer. SS: Deal. Okay, here’s something: I’m well aware that years ago you waited tables for a couple of years and then worked at the college restaurant during your stint as a culinary arts student, but I have to say your portrayal of me as a restaurateur is not one hundred percent accurate. The real-life grind of running a restaurant is far less glamorous than you make it out to be in the book. Yes, we do occasionally have fun testing out new recipes and yes, working the hot line can be an amazing rush when all the cooks are in sync and the kitchen is sending out perfectly plated entrées at a whirlwind rate. But the work I’ve done at Solari’s (my dad’s restaurant, where I used to run the front of the house) and Gauguin (the restaurant I inherited from my aunt) is more often a drudgery than it is a thrill. In your defense, however, an honest, true-to-life book about the inner workings of a restaurant would be pretty darn boring and tedious. After all, who wants to read about someone standing all night long over a hot stove flipping salmon fillets and stirring sauce pots? Or chopping up cases of onions and chicken parts? So I guess it’s for the best that you spiced up my life a tad and cherry-picked the more interesting events that have happened of late at Solari’s and Gauguin—and there have indeed been quite a few! LK: There certainly have. Makes my life as an author all the much easier, though. So, to follow up on that last question, do you feel I did a good job capturing your personality and if not, how would you like to have been portrayed differently? SS: Part of me would like to pretend that I’m not nearly as sarcastic as portrayed in the book, but the realist in me is well aware of my affinity for snark. So on the whole, I guess I’m okay with my portrayal. LK: What do you believe is your strongest trait? LK: And the worst one? SS: Stubbornness (which, of course, is really just another way of saying perseverance). LK: What’s your favorite color? LK: Wow, that’s mine, too! LK: [Ignoring Sally’s smirk.] If you could change one thing about yourself, what would it be? SS: I’d vanquish those damn early-onset hot flashes from my life. Oh, and there’s another. Can I name two things? SS: So the second thing would be not to constantly keep stumbling over dead bodies. It’s exhausting, and really gets in the way of my work at Gauguin. Anything you can do about that? LK: Ummm... I think not. Favorite food? SS: That’s easy: Nonna’s Sunday gravy. It’s the ultimate in comfort food. LK: Can you describe it for those who haven’t had the pleasure of tasting this delectable dish? SS: Absolutely. It’s a combination of beef, pork, and sweet Italian sausages, braised with red wine, tomato, onion, garlic, and herbs for about four hours till the meat is so tender it falls apart at the touch of a fork. My nonna serves the gravy (i.e., the red sauce) over pasta as a primo, or first course, and then the braised meat with sautéed vegetables and a green salad for the secondo. For anyone out there who’d like to recreate it, there’s a recipe for Nonna’s Sunday Gravy in the first book Leslie wrote about me, Dying for a Taste. LK: Okay, last question: What advice would you like to give me before I start on the next book in the series? SS: Well, one thing that I’ve been thinking about of late is that you’ve been writing this series in the first person, even though we are, of course, completely different people. So it’s always a little strange for me to read the books, especially the parts where you purport to understand my innermost thoughts. But I have to admit you do tend to get me right. It’s almost as if you’ve got some kind of secret key to my soul. Weird, that. So I guess my primary words of wisdom would be these: Keep doing what you’re doing, and don’t stress too much about what I may think of the book, trying to ensure that every tiny piece of the story is absolutely accurate. I get that you have to take a certain amount if artistic liberty in depicting me and my life. As long as the essence rings true, that’s truly all that matters.